Fergie is the lead vocalist of the world-renowned music group, the Black Eyed Peas, and multi-platinum solo artist. She chose Avon to collaborate on her first fragrance, a fearless mix of her bold expression and her ultra femininity. To Enter: leave a comment for each entry in comment section below. Register on my AVON site to receive email specials. What a beautiful blog! I entered! This perfume looks so pretty, I wonder what it smells like. We love Fergie so would love to win it! Following you from Catch a Wave Wednesday :) Great blog - I look forward to reading more. Thanks for entering my giveaway, iam your new follower! I love Avon!! I hope I am the winner. Get your Avon from Karen she is a dedicated worker for Avon!! oooh - feminine and bold sounds very nice! Hi there! I found you through Blog Hop Thursday, and I'm following you now! I've just found your blog. It looks lovely. I'm happy to visit. I'm now following by GFC. I have just found your blog but will be looking around more and following you:) Please enter me in this giveaway. Would love some of this perfume. Thanks! Wow, Cute blog! I love the colors and design! Very nice! I use the Ultimate Vitamin C Serum. I think it is the best Vitamin C serum on the market. Registered to receive emails from you. Voted for you on Top Mommy Blog. I like trying new fragrances. Thanks for the chance to win! I love perfumes and love finding new scents! What a nice blog! And giveaways are always nice. :) Good luck to you! Like you on Facebook as Akvile. I registered on your Avon site. this is very kind of you to share! feel free to visit my blog. I'm hosting a fun Pay it Forward event! Hi there! I am following on google friend connect! I'd like to enter if this is open worldwide. Thanks! I am registered to receive your emails. 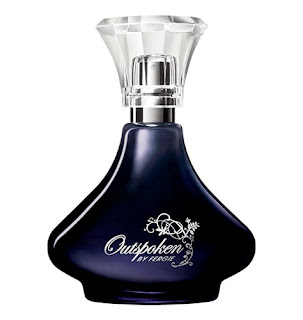 I wrote "I have heard good things about this fragrance.. and of course everyone knows that Avon offers quality products. The Black Eyed Peas are a great group, and I'm sure that Fergie wouldn't lend her name to anything that smelled less than spectacular. Thanks for the giveaway - this would make a great gift. cakeblast AT gmail DOT com"
I follow this blog on GFC via Twitter. I really love your site. You do a great job! Thanks for the awesome giveaway, I've heard great things about this fragrance. I love the song playing on your blog. I'm your newest follower from Mingle Monday.